Decorating our homes, offices and surroundings adds a brand new appeal to the spaces we are accustomed to seeing every day. The same kind of bedroom wall, dull colored living room, and grey office boardroom can be dull to look at. Your surroundings can influence you in a number of ways. Adding something new to brighten your surroundings could reflect positively on your thoughts, mood, and imagination. One new way of decorating is to use wall decals; these decals are more or less giant stickers that you could place on your wall. Most of them can be taken off and reused elsewhere, too, so they really allow you to create a dynamic room theme which will easily be changed around. The greatest advantage of removable wall decals is that they are so easy to use. They are just like a sticker and just peel right off of the paper they come on. Then, they stick right to any surface you would like to stick them on. Many individuals put vinyl decals on their walls to give it a professional look plus some people put them on plain white toy boxes or bookcases. Simple decals could enhance any section in a matter of seconds. If you’re renting, the final thing you would like your child to do is to put dozens of holes in their walls hanging artwork and posters. Why don’t you choose wall decals for kids which don’t require nails, tacks, tape or some other damaging method of installation. These wall appliques are incredibly safe and harmless to make use of on wall surfaces. 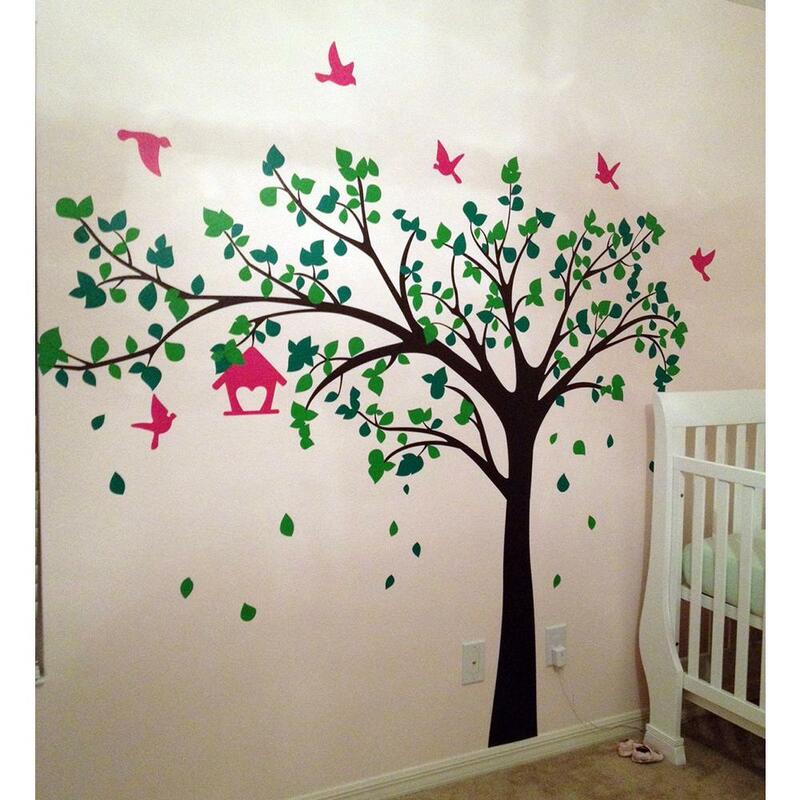 The advantage of wall decal is that some companies create custom decals for you. No matter what your interest is, there is a way to express it with a wall decal. Choose the mascot of your favorite sports team and accent it with borders in the team’s colors. Trying to show some school spirit? Show the school name and select additional pieces in which reflect the school’s colors and mascot. Make use of decals to let your friends know your taste in music or movies. As you have seen, removable wall decals are a fun way to brighten a room without a lot of fuss. Wall decals for interior decorating and design give you practically unlimited possibilities for designing a theme roomed. They’re easily taken out so if you’re a renter or are moving from your present home you can take these with you and apply them to you next project in your new place.